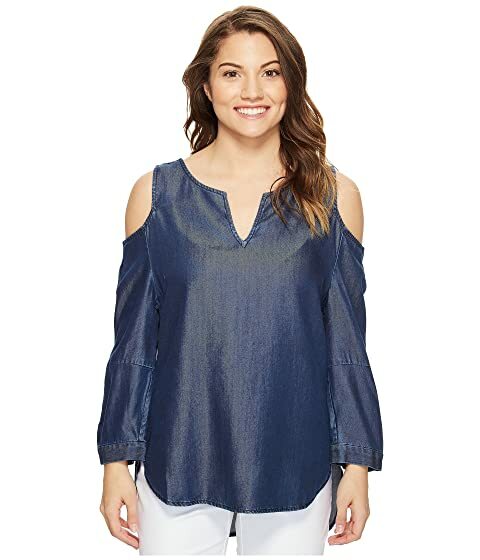 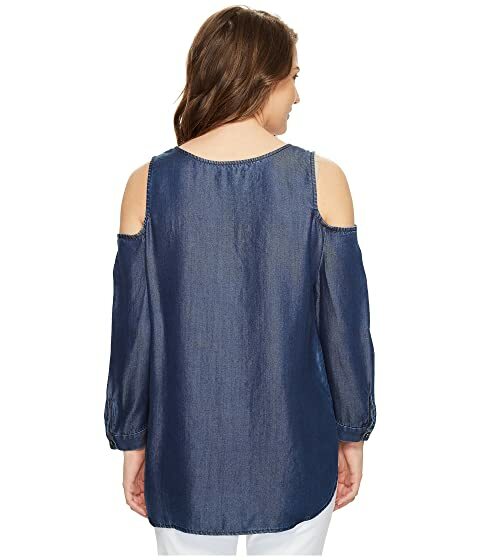 Solid blouse in a crisp woven with a subtle sheen. 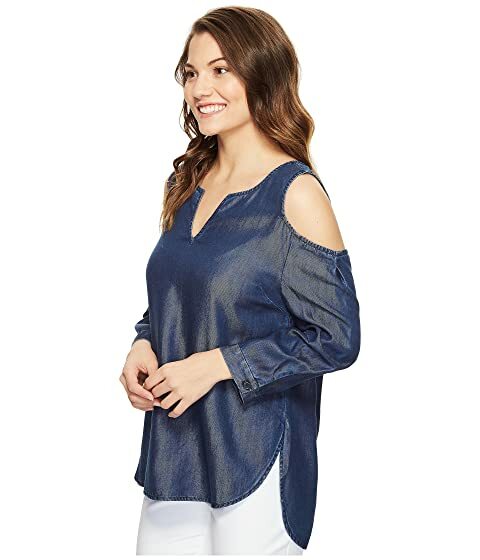 Classic fit with just the right amount of give. 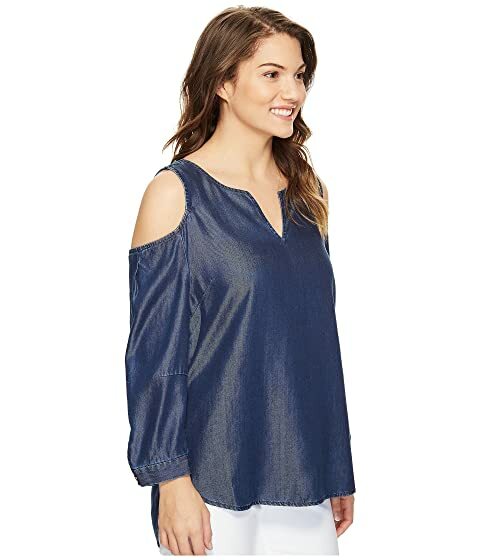 Three-quarter sleeves with unique cold-shoulder cutouts. Shirttail hem with high side split.